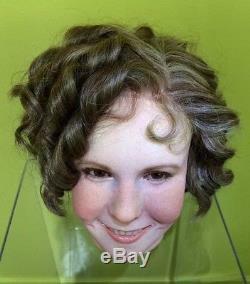 Shirley Temple Life Size Wax Head. 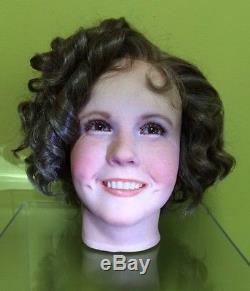 This new never displayed custom made Wax Sculpt in the likeness of a young Shirley Temple. 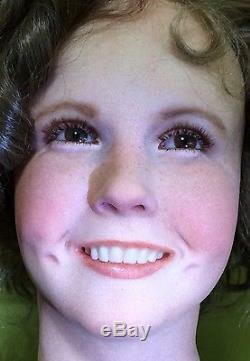 She was commissioned to be installed standing alongside other wax figures. From a smoke free studio. This one of a kind custom sculpted wax head is made from a special blend of 100% wax that is used in the wax figure making process for durability. The wax on this head is approx. ½ to 1 thick in areas. 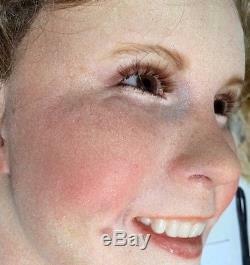 Her eyes are made of a high quality glass resin and done in a rich light brown. 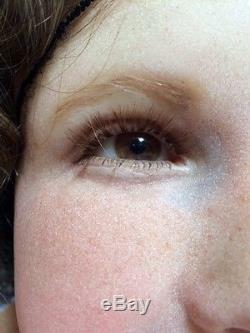 Eyebrows are a supper baby fine human hair individually hand inserted. Her teeth are also individually inserted and made of a high grade dental resin. 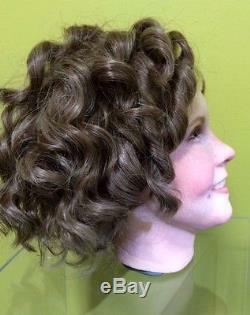 Her hair is a French lace front wig that can be styled with hot rollers (keep away from scalp of wax) and done in a light brown with faint golden highlights. It has been permanently attached and was styled to wear a hat and recommend one be warn. She has been painstaking painted to achieve the finest realism possible in a blend of oils right down to every freckle and sparkle in her eye. 12 neck circumference (for body attachment). This is an OOAK piece. 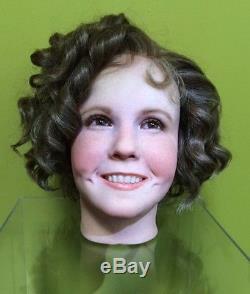 The item "Wax Head of Shirley Temple" is in sale since Wednesday, April 26, 2017. This item is in the category "Entertainment Memorabilia\Movie Memorabilia\Props\Originals". 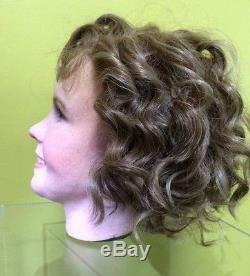 The seller is "houseofzin" and is located in Sacramento, California. This item can be shipped to United States.